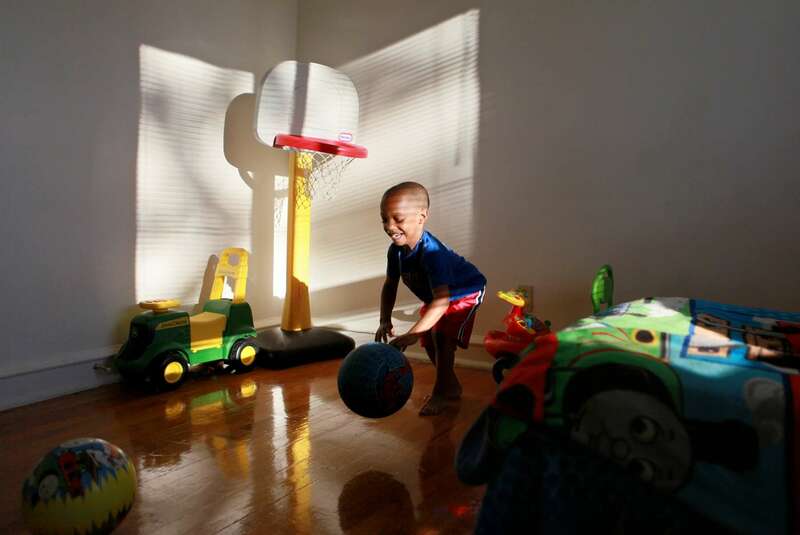 Tuesday June 28, 2011--Malachi Lawrence, 3, plays in the bedroom in his and his mother's, Deidre Woodberry, apartment in north St. Louis County. Woodberry participated in Contraceptive Choice Project trial soon after the birth of her son Malachi. Woodberry knew she didn't want to have more kids while she was trying to finish up her college degree.